The Packers weren’t interested in paying DT Cullen Jenkins two years ago when he was an unrestricted free agent and subsequently signed a five-year, $25 million with the Eagles. 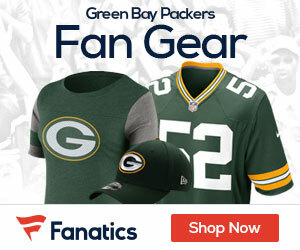 A source said that Jenkins wanted to stay in Green Bay and would be interested in returning, Tom Silverstein of the Milwaukee Journal-Sentinel reports. While in Green Bay he was well-liked and a good influence on younger players. In seven seasons, Jenkins missed some time with injuries, but in three of the last four seasons he has played all 16 games and totalted 21 sacks. With the Eagles, he was solid, playing in all 32 games and totalling 9.5 sacks in a time-sharing role. Now 32, Jenkins is at the tail end of his career and might not have a lot left in the tank, but he doesn’t appear to be washed up. The fact the Packers took chances on guys like Daniel Muir, Philip Merling and Tony Hargrove would lead to believe they might take a shot at Jenkins. The ACL tear rookie Jerel Worthy suffered leaves the Packers down a defensive lineman. Worthy will probably start the season on PUP and might not be ready to play unitl mid-season at best. “Thank you to all my supporters. Lets see where the next chapter takes us,” Jenkins said.